The historic Tennessee Brewery building, which housed the "Untapped" beer garden for six weeks this past spring, may be demolished on August 1st. Or maybe it won't. James Rasberry, the building's listing agent, said he is currently working on a couple of contracts with potential buyers for the building, but he does not have an executed contract. If either of those contracts moves forward with a viable candidate for a future owner, Rasberry said they'd be able to get a two- or three month extension on the demolition, which has long been planned for early August. "The only goal is to try and save the building, but if we can't, we've given it a great shot. That's where we are right now," Rasberry said. Rasberry said he should know more in about a week. 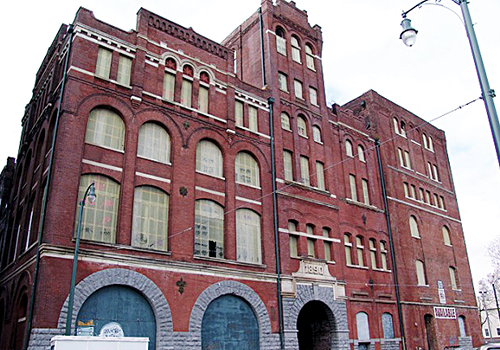 The Tennessee Brewery building was once home to the now-defunct Goldcrest Beer. No beer has been brewed there since 1954, and the building, which was sold to A. Karchmer and Sons Scrap Metal in the mid-1950s, has been vacant since 1981. The building's owner, Kevin Norman, purchased the property in 1997 in the hope of salvaging the historic building. He's been trying to sell the building unsuccessfully for years. 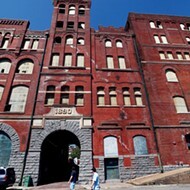 From late April to early June, a group of investors — restaurateur Taylor Berger, attorney Michael Tauer, commercial real estate executive Andy Cates, and communications specialist Doug Carpenter — organized a pop-up beer garden inside the brewery to raise awareness about the need to save the building. 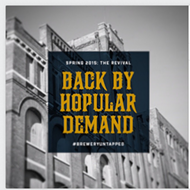 To read more about "Untapped" and the brewery's history, check out this Flyer cover story.